This diverse group represents over 8,500 skilled, field, shop and Shipyard union ironworker members within the provinces of Manitoba, Saskatchewan, Alberta and British Columbia. We work in partnership with leading contractors and industry employers to advance standards of excellence, productivity, profitability and a safe work place within the construction industry. 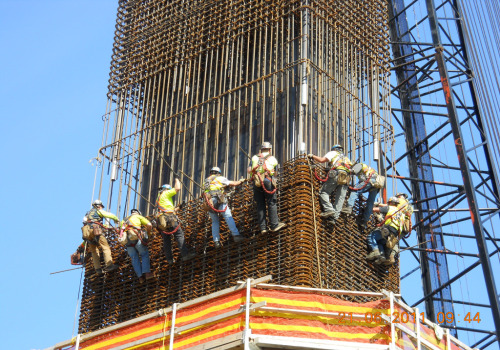 District Council union ironworkers have a long proven tradition recognized by the contractors and employers that request their services maintaining that they are the best at what they do. Further the ironworker’s advancement in the industry is enhanced by their commitment to train and be the best in the craft. The District Council of Western Canada’s charter was granted by the International on October 26, 1957 and consists of five field locals 97, 720, 725, 728, 771 three shop locals 712, 805, 838 and one shipyard local 643. 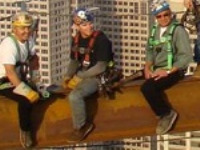 If you would like to be part of the International Association of Bridge, Structural, Ornamental and Reinforcing Iron Workers please Contact Us for more information. A PLA is a comprehensive pre-hire collective bargaining agreement whereby the basic terms and conditions for labor are established in advance for everyone involved in the project.